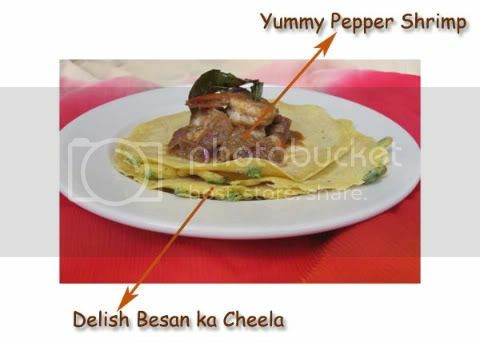 This recipe is for SJ of A Pinch of Spice. 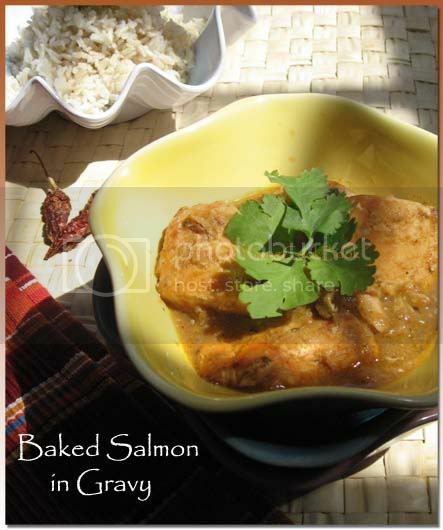 Until she mentioned I did not even know that a dish called "Baked Salmon er Kalia" was titillating Bong palates up North-West. 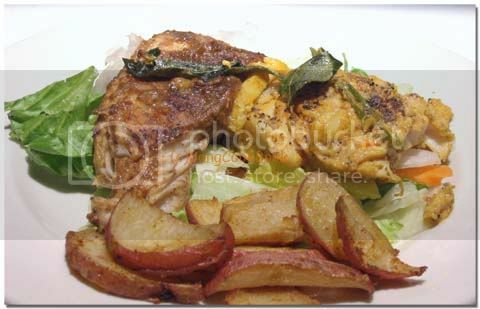 I knew the regular maacher kalia (or fish kalia) but this was salmon and that too baked. My local bong friends spoiled by the bangladeshi fish sellers abounding the east coast seldom cook salmon while entertaining and so such a nouveau dish had not found its way in their kitchen. So I searched high and low, actually I just Googled and bam landed on this recipe. "So this is what it is", I thought, "almost like a regular kalia but the salmon has been marinated in spices and baked" ? For 6-7 pieces of salmon fillet. Each piece roughly a square of 2" x 1.5"
Drizzle a little olive oil and bake the salmon pieces for 20 minutes at 275F 350 F After 20 minutes turn them over, sprinkle a little sugar and put in broil for next 5 minutes. Note: After suggestions by a friend I have been baking Salmon at a lower temp of 275F and the fish is much more moist and delicious. So i am updating this post with the new bake temperature. Temper the oil with 1 large Bay leaf or 2 small tej patta(tej patta is usually smaller than bay leaf) + 4 Green Cardamom/Elaichi + 1/2 tsp of Whole Jeera/Cumin Seeds. Fry for a couple of minutes with a sprinkle of sugar. Let the gravy simmer till it thickens. The gravy will have a smooth consistency. We are done with 7 days of Challenge, woo hoo. Am I glad or what. Saturday with all that fasting-shasting I was pretty crappy and so was the husband. We were spiteful and had huge rows. Low carb/sugar was showing its effects. "But I feel lighter", I said to myself, "Maybe I have lost inches(or feet) if not pounds. If I lose my marriage so what, at least I will be thin"
No wonder the husband was gladly gliding along until the fasting started. * All that eating right makes you feel a whole lot better. You do feel light believe me and may even lose pounds if you are strictly adhering to the rules. Actually the husband did lose noticeable inches as claimed by him. * This challenge saw both of us(D & me) together in the kitchen a lot and by that I mean A LOT. Now this might be a total incentive for honey-baby-lovey-dovey kind of couples(with no disrespect meant to anyone). But for me this is a hindrance. I have known the husband for a loooong time now and don't feel the need to bond over how to grill salmon just right. The hubby is a good cook and definitely a help in the kitchen but when he is in there I would rather spend my time with the baby who needs me more. Once the kids are older and can be in the kitchen too maybe we all can have coochie-coo Kitchen time. On the whole the Challenge was worth it and I am going to do it maybe every alternate week or so. Take it up and feel good. Make a batter with the above Besan + about 1/4 cup of finely chopped red onions + 3 finely chopped green chilli + 1/2 tsp of Carrom Seeds/Ajwain + 1/2 tsp of Cumin Seeds + little Asafoetida/Hing + salt. Add a little more than 1 cup of water slowly to make the batter. Heat a flat tawa or frying pan. Defrost about 10-12 frozen shrimp. I used frozen raw shrimp, substitute with whatever kind you like. Sprinkle some sea salt on them and let them rest for 15-20 minutes. Once the shrimp is cooked you are done. Don't cook shrimp for too long, it might get rubbery. Today was ok. I definitely craved all kinds of grains from Biryani to fish and rice but that was all in my mind. I sacrificed my morning tea too and still I was ok. I am not a coffee drinker so no problem there. Lunch was pretty satisfying but I need larger portions tomorrow. After 3pm I wasn't feeling that good though. For some reason I have a pounding headache. 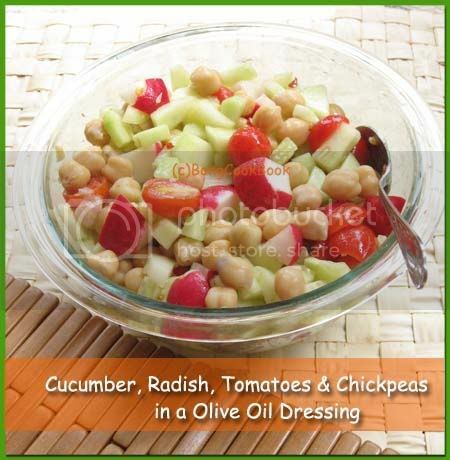 In a bowl add chopped cucumber, chopped red radish, halved grape tomatoes and chickpeas. In a separate bowl make a dressing of Olive Oil + Lime Juice + Minced Garlic + Red Chili Flakes. Toss the salad with this dressing. I have this dressing saved for the other salads too. Thanks for all your ideas. Cheela wins hands down for weekend menu. 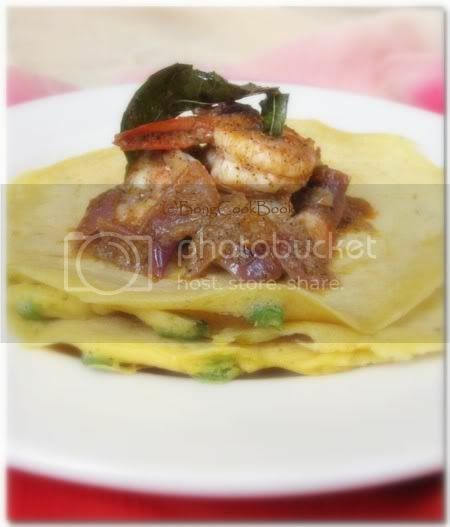 I have not had pesarattu so don't know how it will be. 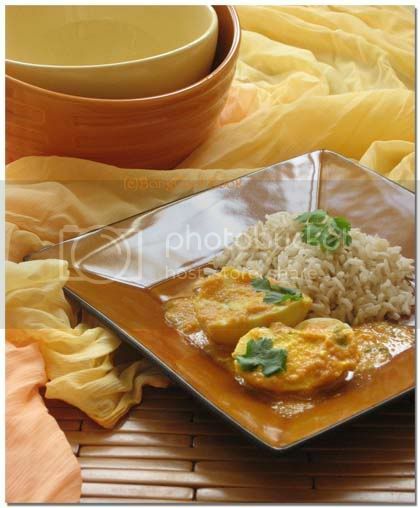 Besan or Gram Flour is flour made from chickpea, a legume. I guess if that is processed even cooking oil is. However Besan contains high proportion of carbohydrate but no gluten. The higher carb is ok or not ? 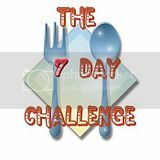 I will be on the 7 Day Challenge from tomorrow. The husband has kindly agreed to be with me "for better or for worse". * No processed foods -- What, no Marie with my tea ??? Guys does Marie Biscuit or any cracker come under category "processed" ? I have a spreadsheet with probable menu for 5 work days, hopefully I will stick to it. Since no processed food(no ketchup, pickle ??) or eat out was allowed along with no grains it was not easy to plan. I also wanted to control fat in my food though that wasn't one of the conditions. This also needed some prep work on Sunday. The menu is up here on my spreadheet. The menu seems to have plenty of food, I am not sure if it will be more or less so I will update it as necessary. 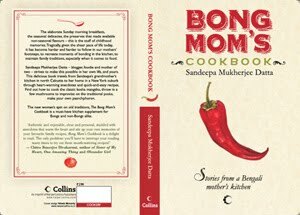 I chose simple, light, fancy free recipes which are moderately spicy and Indianized and have tried to plan a balanced meal. Got some idea from Sig's SBD Phase 1. This is NOT SBD though and I can eat a lot of things which maybe they can't. The original challenge or tag started here. Why am I doing this ? For exact reasons mentioned by the originator. I needed a push to make a change like like getting rid of all carbs. Only the end will show if I am fitter, better for it. Phissssssssssh went the pressure cooker, not once or twice but 5-6 times. With each whistle the appetizing fragrance would trace the room, trying to find its way out of the wide windows. The sun would be high up by then and the drapes drawn in while the Rasna Kids sang aloud happily on the Tele. As Spiderman saved the world the mind wandered in anticipation of lunch. Ma would be busy in the kitchen, her cotton saree damp and smelling headily of all the spices. If you dug your face in her coolness, today would smell different. It was Sunday and you would smell Mangsho'r jhol (Mutton/Chicken Curry). A Sunday Lunch menu that once united almost all Bongs, it was a tradition of sorts to have nothing but mangsho'r jhol & bhaat for Sunday lunch. The meat could vary, it could be patha'r mangsho(goat meat) for the more traditional, archaic family or murgi(chicken) for the noveau ones. 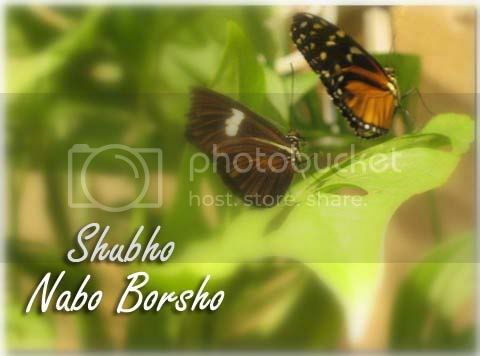 My grandparents were strict Brahmins and adhered to Bengali Brahmin norms. That didn't mean much except that the only meat that was allowed in their home was patha'r mangsho (goat meat) and not murgi (aka chicken). So Sunday lunch was almost always goat meat curry and rice. I wasn't very fond of goat meat then but loved the gravy and the potatoes in it. Times have changed. We hardly eat goat meat or any red meat that much. There is no fixed menu for a Sunday lunch at my home to weave memories. 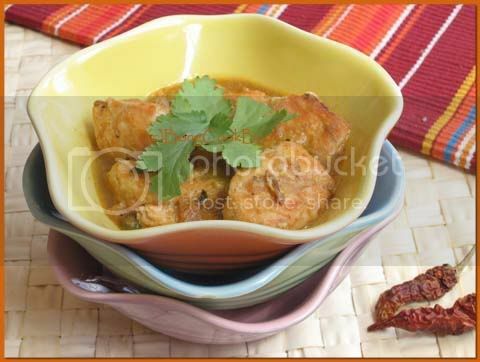 But Patha'r mangsho or goat meat still holds a lofty place and is cooked on special occasions. So that is how this got cooked when friends were visiting some weeks back. What was/is your Sunday lunch tradition ? 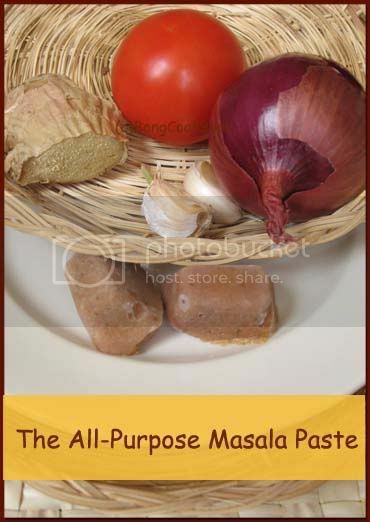 Make separate paste of onion and a separate ginger + garlic paste. Amount remains same. My Ma does it this way. While the mutton is cooking in a separate pan fry 1-2 potatoes that had been peeled and quartered with a little turmeric. 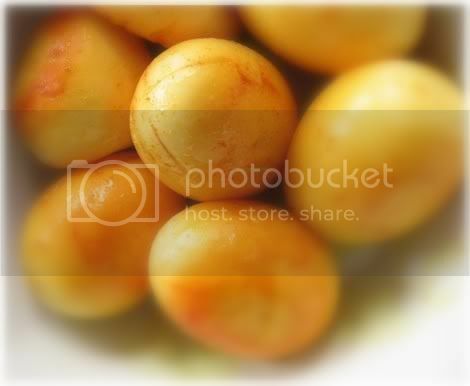 The potatoes will not be cooked but just take on a nice golden color. Do not cook further and keep aside. When the mutton has lost its raw coloring and it smells nice you can transfer the whole thing to a pressure cooker along with the potatoes and cook it in the pressure cooker. If you have time on hand do this. Cook the mutton at low heat in the covered pan itself. Remember to stir in between and add water if necessary. Some water has to be added for the gravy, adjust the amount of water according to your wish. You can use a slow cooker if you have one and cook the mutton in it too. If you are cooking in the pan, check when mutton is near to be done and then add the potatoes. Check for seasonings and adjust to taste. You might need to add a tsp of garam masala. I sometimes add juice of half a lime and finely chopped coriander at the end. 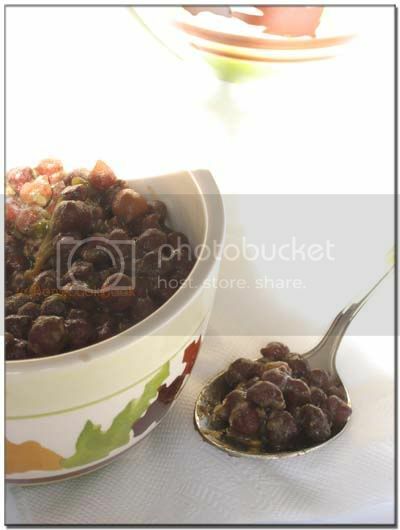 Though not the usual trend you can garnish this dish with chopped corriander. Also when I am having this mutton curry with rice I like to squeeze a little lime juice on it and have onions as a side. Update: I forgot to add that D (the husband) makes a goat meat curry which is simpler and yet very flavorful. Shall post that next time he cooks. 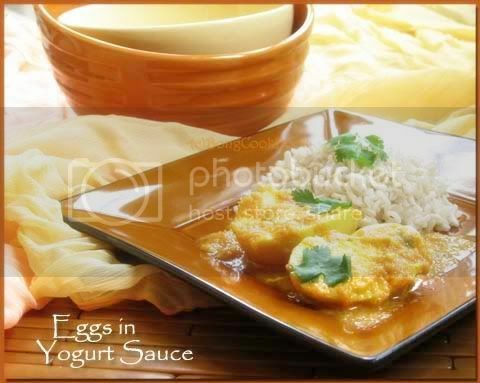 So enjoy the silence and Doi Dim aka Eggs in a Yogurt Sauce. 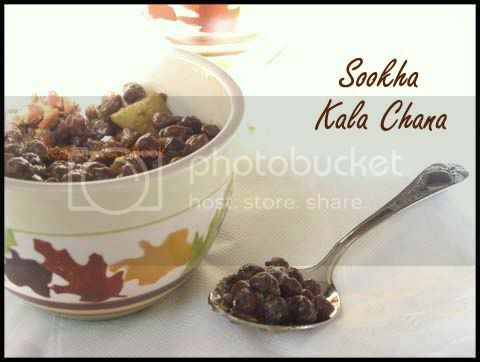 This is almost like the doi maach recipe and when my Ma made this last year we all loved it. Make a paste of about 1 cup of chopped red onion. If your onion paste tends to get bitter fry the onion in a tsp of oil till soft and then make a paste. Fry with 1/2 tsp of sugar till the onion turns a shade of pinkish brown and you see the oil separating. Remember the onion paste should not burn but should turn a nice shade of lighter brown with tinges of pink. If you are using fried onion paste, this step will be faster. Approx. 5-6 mins. I started the weekly menu series and promptly forgot about it. However each week when I have to think what to cook or do grocery for I feel it would be nice to have a menu to resort back to. So I am initiating this series again for my own good. This series will loosely have the dishes cooked for or during the week starting Monday and ending Thursday night and will be updated Friday evening. Lightly fried bitter gourd -- simple fried bitter gourd. And some paneer for S, stir fried with whatever veggie.